It's easy to get started with PARiConnect! I have a parinc.com account. If you already have an e-mail address and password at parinc.com, please review the Account Supervisor Agreement, then call 1.855.856.4266. A friendly Customer Support Specialist will help you set up your PARiConnect account. I do not have have a parinc.com account. 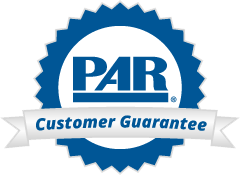 If you are a new PAR Customer, or you are an existing PAR Customer who doesn’t have a parinc.com account, please register first. When you have finished creating your parinc.com account, please review the Account Supervisor Agreement, then call 1.855.856.4266. A friendly Customer Support Specialist will help you set up your PARiConnect account. The PARiConnect “GET 3 FREE Assessments” offer includes three (3) administrations and three (3) reports for any instrument(s) selected by the Supervisor/Account Manager. The qualification level of assessments selected must be at or below the Supervisor/Account Manager’s qualification level. For example, if the Account Manager Qualification level is C, PAR’s highest qualification level, then the Account Manager may select from any of the PAR products available on PARiConnect. The free uses are intended to acquaint users with PARiConnect and allow them to experience the power of the PARiConnect platform. A new PARiConnect Supervisor/Account Manager selects the free assessments during the initial PARiConnect login. The total number of free uses provided is three (3) administrations and three (3) reports per account, regardless of the number of supervised individuals that are subsequently assigned to the PARiConnect account.